Operation was one of my favorite board games growing up – because it really wasn’t a board game at all, but an opportunity to play around with electricity and pretend to be a surgeon. 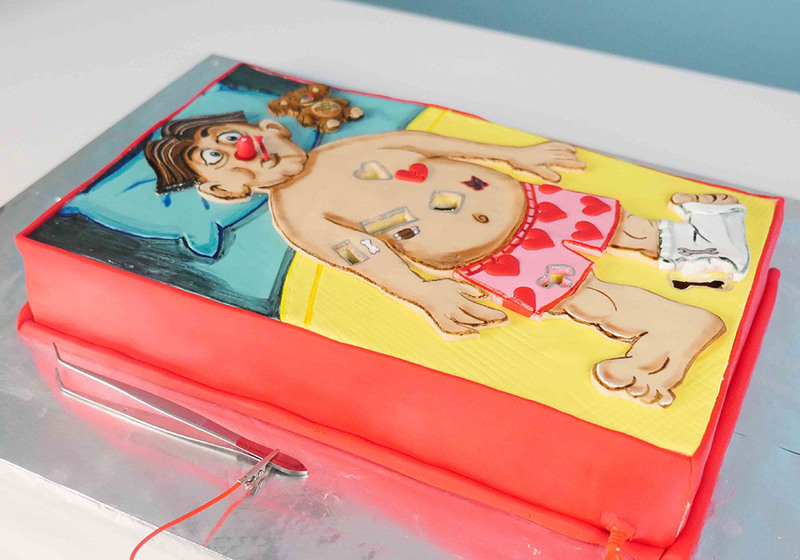 So what could be better than combining this fun game than an edible version made from cake? That’s exactly what Ann Reardon from How to Cook That did, creating a this tasty Operation cake that really works. Underneath the colorful frosting, there’s a sponge cake with vanilla buttercream, simple syrup, and strawberry jam. If you want to make your own Operation cake, drop by the How to Cook That website for the full recipe and details on the build.